Corn Chowder - Made It. Ate It. Loved It. 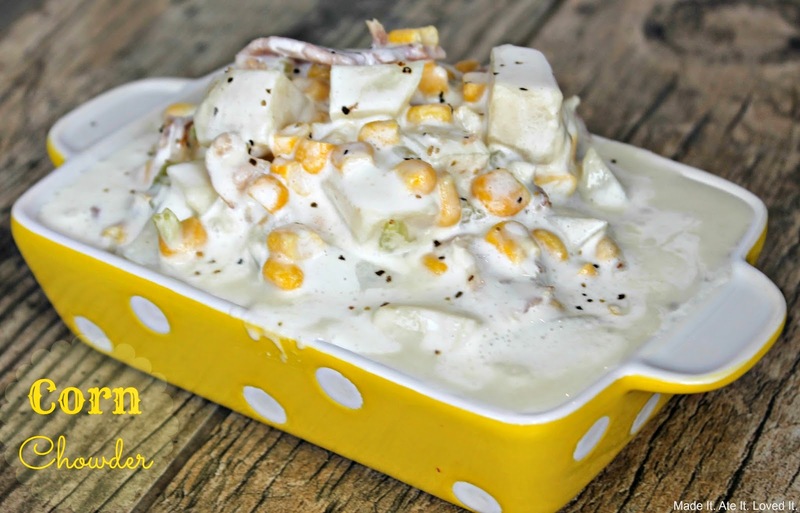 Corn Chowder is such a yummy, easy, family friendly soup. It is even better when you can cook it in the crockpot. In a skillet add butter, chopped bacon, onion, celery and potatoes. Saute’ for about 5 minutes or until bacon starts to become crispy. Grab a crockpot and dump the saute’ mixture in. Add the chicken broth and half and half and pour in. Mix together. Add corn, creamed corn, sugar, salt and pepper. Stir and cook on low for 4 hours.